Depending on the funds available each school year, Financial assistance at EJJR may be available to students based on the school scholarship program, the student academic merit and the family financial need. In order to be eligible for the scholarship program or financial aid, students must first submit a completed application as well as a completed financial aid application (available starting the 2017-2018 academic school year). This must be submitted and received EJJR by January 1st, February 1st and March 1st. There are four ways for students to benefit for financial aid at the French School of Austin depending on their eligibility: (1) The Scholarship Program (2) The French Scholarships (Bourses Scolaires) (3) Financial aid based on academic merit or financial need (4) The School Tuition Reduction program. The Future Scholarship Program aims at helping students who have been immersed at a very young age to continue their education in the French educational system once they reach Cycle 3 (Grade 4 and up).The school is working on establishing funding for the scholarship program. Financial Aid and the Tuition Reduction Program, available currently at school, aim at meeting some of the financial needs of students that are not eligible for the Scholarship Program. Our school makes every effort to meet the needs of families applying to the school however it should be noted that awards normally do not exceed 50% of tuition fees. The average financial aid award is 25% of tuition fees. Financial assistance awards are based upon two criteria. The principal factor is the family’s financial situation and need for assistance as determined through financial examination. The second determinant is the applicant’s assessed overall merit: his/her current or potential contribution to School Performing Arts Program, and the school community activities as determined by French School of Austin application (this could include references, personal or telephone interview, admissions test and academic reports, performing arts and string program performances, community and school involvement, extra-curricular activities, etc.). Financial Aid awards are normally offered for one academic year and are renewable annually on application provided the student has maintained a strong academic average with his/her contribution to the performing arts program and school community activities. NOTE: Parents and students of families receiving financial assistance will be required to sign a confidentiality agreement on acceptance before the start of the academic year. This agreement will be strictly enforced. At French School of Austin, we strongly believe that a good education is a relationship between your child’s needs, your family philosophy and our school philosophy. That is why the first and most important consideration, is what is best educationally and spiritually for your child. We recognize that money does play a role in your child’s education, and that tuition is an investment into the life and future of your child. Our goal is that money will not stand in the way of any qualified family, therefore we offer a no child turned away policy, when the child has been immersed in the French program for several years. In working together, we can make your family a part of our community. In addition to the French scholarship program (bourses scolaires) for the relocated French expatriates families in Austin, our school is diligently working on an upper elementary Scholarship program for our students of Cycle 3 (Grade 4 and up). Students eligible for the scholarship program must have attended French School of Austin, Ecole Jean-Jacques Rousseau, our school, starting the three years old program, with no lapsing in attendance. Students transferring from other French schools, accredited by the Agency of French education Abroad may apply for the scholarship program for eligibility. Spots are limited for transferring students, based on application, student’s academic results, exam entrance and the type of French program attended previously. Deadline for submitting an application for admission to be considered for the scholarship program is February 1st. Transfer students from other French schools must submit report cards from preschool level with the application for admission and two letters of recommendation. Students not eligible for the program may apply for financial aid (see below) and the French scholarship program, if applicable. French School of Austin may grant income based financial aid to French children of expatriate families enrolled at Ecole Jean-Jacques Rousseau in Grade 1 and up. Eligible families are must have at least one child enrolled at Ecole Jean-Jacques Rousseau, in preschool. The older sibling, enrolled in elementary or middle school, can be eligible for the French scholarship. French families with one child may benefit from other school financial aid programs, if applicable. – February 1st for families already living in the Austin area. – August/September for French families who moved to Austin after February 1st. En vue des récentes restrictions et modifications des barèmes des bourses scolaires par L’Agence pour l’Enseignement Français à l’Étranger (AEFE) pour les familles françaises souhaitant scolariser leurs enfants dans des établissements français, l’école Jean-Jacques Rousseau lance son programme de bourses scolaires au bénéfice des familles françaises, à enfants multiples, et résidant aux USA depuis une année. Selon le niveau de l’aide accordée, les familles à enfant unique peuvent bénéficier d’autres réductions des frais de scolarité et les familles nombreuses d’une bourse scolaire. 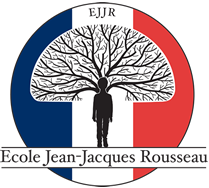 The New Student Referral Incentive Program awards a referring EJJR family with a $400 tuition credit for the first new family that is referred to and actually enrolls in Ecole Jean-Jacques Rousseau. If you refer a new family that enrolls two students, you will receive an additional $250.00 tuition credit. Maximum credit per new family referred: $650. Referred families must be new to Ecole Jean-Jacques Rousseau and remain for the entire school year. All tuition credit will be granted and applied in February of the forthcoming academic year. This program does not include families already attending Ecole Jean-Jacques Rousseau. Depending on the funds available each school year, Ecole Jean- Jacques Rousseau may offer discounts on tuition fees in several situations. Exchange of Services: Families may be eligible for a tuition reduction in exchange of services rendered to the school, and that depending on the services needed for the current school year. Financial Aid Based on Revenue: Financial Aid can be offered based on both parent’s or guardian’s income for re-enrollment only. Tax Return documents must be submitted by April 1st or at the time of re-enrollment. Merit Scholarship: Ecole Jean-Jacques Rousseau is pleased to offer, when funds are available, one to two Merit Full or Partial Scholarships a year for students entering Grade 5 and up. The full scholarship is awarded on the basis of a scholarship examination and is renewable as long as the student maintains an 85% average with no grade below 70%. The partial scholarships cover up to 25% of annual tuition fees. 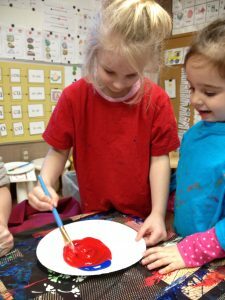 Employee- Reduced Tuition: The Tuition Reduction Program permits eligible employees to take advantage of a tuition discount for the education of their children at Ecole Jean-Jacques Rousseau. Sibling Discount: A reduction in tuition may be awarded (depending on the school year funds) to the sibling with lower tuition, in a single family where two siblings attend the school. Please note that sibling discounts are not automatically offered each year. Students receiving financial aid and/or scholarship cannot benefit from a sibling discount. Please contact the office for discounts of three or more children attending French School of Austin. 1st Round Deadline: Applications must be submitted by January 1st in order to be considered in the first round of financial assistance offers. 2nd Round Deadline: Applications must be submitted by February 1st in order to be considered in the second round of financial assistance offers. 3rd Round Deadline: Applications must be submitted by March 1st in order to be considered in the final round of financial assistance offers. – Scholarships and financial assistance are currently not available for new international students. – Applications submitted or received after the final date are subject to availability of funds.